Problem: Apple Dock is the command center for your Mac. With Apple Dock you can run applications, switch between apps, open documents and links. Solution: ActiveDock is a full replacement for Apple Dock with many new features. ActiveDock allows grouping of documents and apps, quicker switching between apps and windows, managing windows right from Window Previews panel. Also you can customize the appearance of icons and the dock itself as you need. With Window Previews feature you can quickly find the window you need, switch between windows or place windows to the front of the screen. 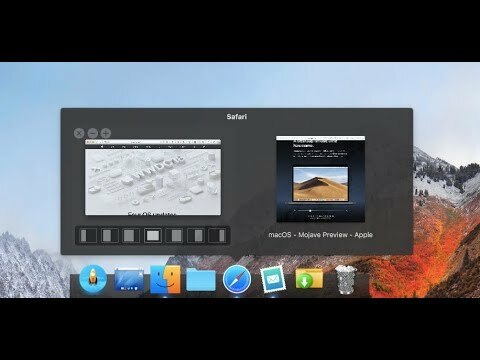 With the help of custom themes you can make your Dock unique. Custom icons for apps not only make your Dock beautiful, but also allow you to find apps you need quickly. Organize apps and documents into Folders and Groups. Folder View feature allows you to add to the Dock a stack with the contents of your chosen folder for quick access. Groups feature allows to create a virtual folder in the Dock or Start Menu with the links to any file you need. Allows you to quickly start apps, open documents and folders. With ActiveDock you can exclude hidden apps from the Dock,or add some apps to the exclude list to completely hide them from the Dock to avoid any distractions in your work. ActiveDock was added by paganel in Jun 2018 and the latest update was made in Jun 2018. The list of alternatives was updated Mar 2019 There is a history of all activites on ActiveDock in our Activity Log. It's possible to update the information on ActiveDock or report it as discontinued, duplicated or spam. Discontinued The program is no longer updated, but last version, 1.3.5, released in September 2008, can be still downloaded from the official website. "It is true, RocketDock has been discontinued. [...] The app remains available on https://rocketdock.com, but is unsupported." Alternatives to ActiveDock for Mac, Windows, Linux, Windows Explorer, PortableApps.com and more. Filter by license to discover only free or Open Source alternatives. This list contains a total of 25+ apps similar to ActiveDock. No reviews yet for ActiveDock, want to be first? Maybe you want to be the first to submit a comment about ActiveDock? Just click the button up to your right!